Toyota has earned a reputation for giving drivers cars that deliver durable performance over many years. Even the most reliable cars need the occasional maintenance, however, and if you are the type of person that takes care of your own mechanical issues, you’ll need the correct OEM parts to ensure you don’t experience any unnecessary problems. The Nalley Toyota Union City Parts Center is the perfect place to get the components you need for your repairs and maintenance. You can go online and easily order parts by filling out a short form. If we don’t have the part you are looking for, we will order it for you and get it to you as quickly as possible. Nalley Toyota Union City tries to give customers maximum value on all of their purchases, be it a brand new Toyota or service and parts. If you are ordering parts from us, make sure you check out our specials, as we frequently make the parts you need more affordable through our offers. If you have any questions about the specific part that you need, do not hesitate to call or visit us. 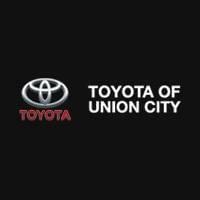 Nalley Toyota Union City is a capable of handling whatever automotive repair or maintenance you need accomplished, so if you aren’t confident with installing the part yourself, our team of technicians will ensure your car is handled properly. In addition, if you are looking to add upgrades or accessories to your vehicle, check out our catalogue of genuine Toyota accessories online. We place the customer’s satisfaction first. When you need OEM parts for your vehicle, we will help you get them as quickly as possible so you can get back on the road. Visit us today and receive customer care that exceeds your greatest expectations!